Saint Felicitas was born into a wealthy Roman family under the emperor Antoninus Pius (138-161). 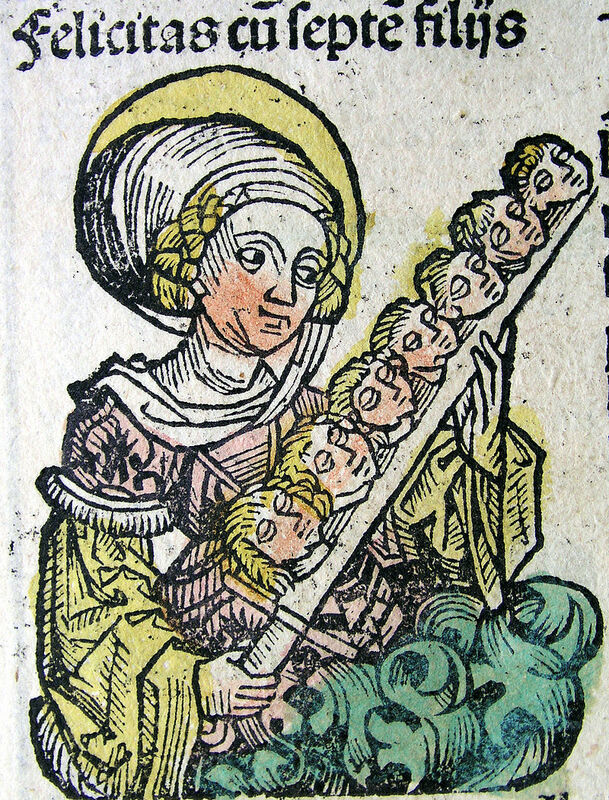 Having given birth to seven sons (Januarius, Felix, Philip, Silvanus, Alexander, Vitalius and Martial) and become a widow, she devoted her life to the proper raising of her children and the service of God. By her public and edifying example, many idolaters were moved to renounce the worship of their false gods. For this Felicitas and her seven sons were turned over to the Prefect Publius to be examined and compelled to sacrifice to the idols. 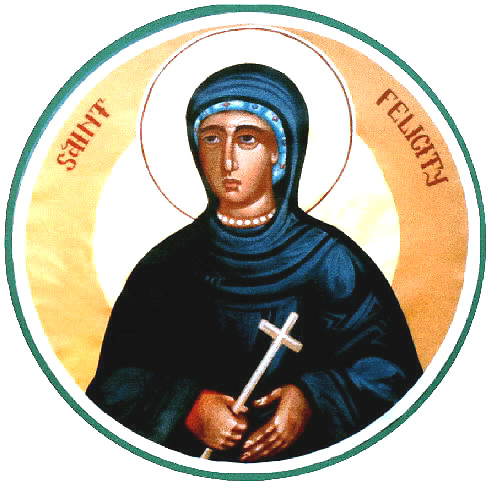 Seeing her steadfast in her faith, Publius ordered for Felicitas to be beaten. Then one by one, the children were questioned by the prefect. All likewise, by the good example of their mother, boldly confessed their faith and would not be persuaded to worship the idols, despite being threatened. They were all therefore imprisoned, showing not a fear of death, but rather feared eternal punishment if they should deny their beloved Christ. Antoninus having read the interrogatory, gave an order that they should be sent to different judges, and be condemned to different deaths. Januarius was scourged to death with whips loaded with plummets of lead. The two next, Felix and Philip, were beaten with clubs till they expired. Silvanus, the fourth, was thrown headlong down a steep precipice. The three youngest, Alexander, Vitalius, and Martial, were beheaded, and the same sentence was executed upon the mother four months after.